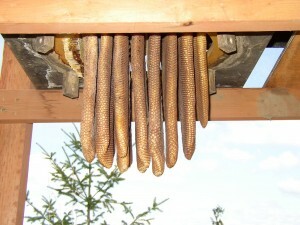 This is the way I got started in beekeeping 10 years ago. In a 2 day seminar in Switzerland we built this skep out of Rye straw and prefabricated wooden parts. It is totally capable of being dismantled and every frame can be inspected individually, as requested by law. The pictures are showing a fully covered basket, a top view and a view from underneath without baskets. 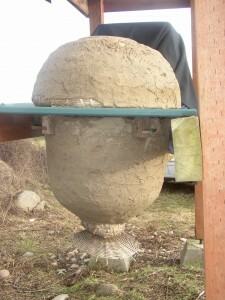 The frames are standing individually on the board that divides the skep and can be removed for inspection. 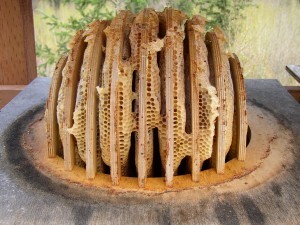 Meanwhile I live in the Great Pacific Northwest and I have changed to standard bee hives.